Leading a fast-paced city life can be exciting, but what we often neglect is not only our own need to relax, but also our partner’s need for intimacy. When we recently asked a number of young, career-focused couples if they’ve been on a romantic holiday recently, a lot of them answered in the negative, and the main reason for it was the lack of time to organize one. We’ve put our heads together and decided that there shouldn’t be an excuse not to enjoy a break and re-ignite the fire of romance with your loved one, so we’ve cooked up a list of the best romantic resorts we love in Malaysia. You’ll have no problems with long flights or foreign languages – just choose a resort you like, book a room, and ta-da, start packing for an intimate getaway with your man! 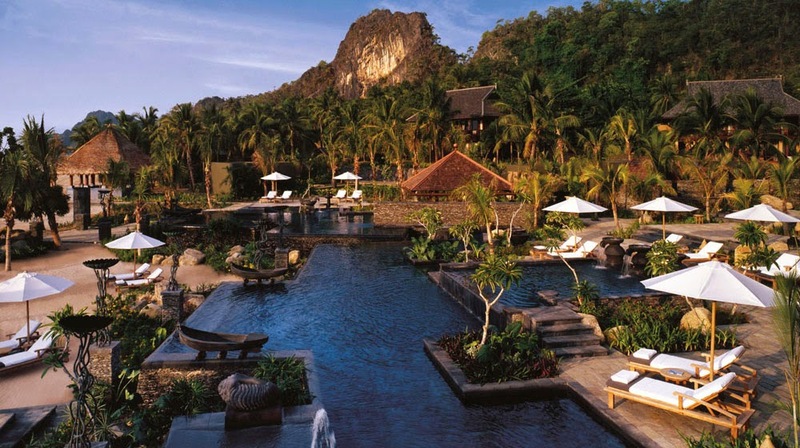 One of the most luxurious villas on Langkawi island, the Four Seasons Langkawi is surrounded by a tropical rainforest and dramatic cliffs. Explore the entire island or enjoy an intimate barbeque by the beach as the sun sets. 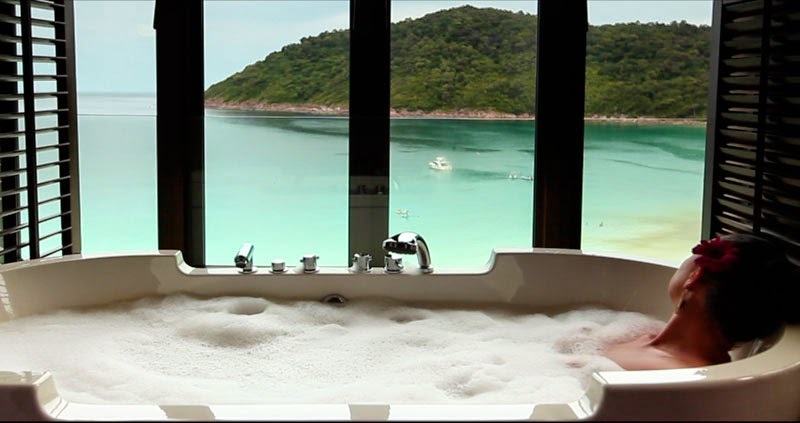 For something even more luxurious, bathe in the villa’s exclusive celadon soaking tub. 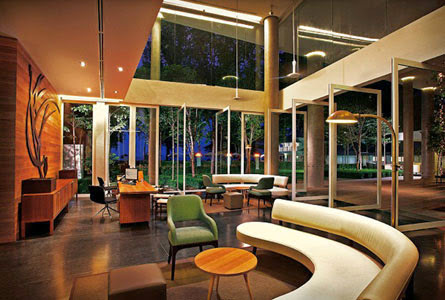 The E&O Hotel is well-known in Penang as it eludes the grand elegance of the British Colonial era. It was also named one of Penang’s UNESCO World Heritage sites. 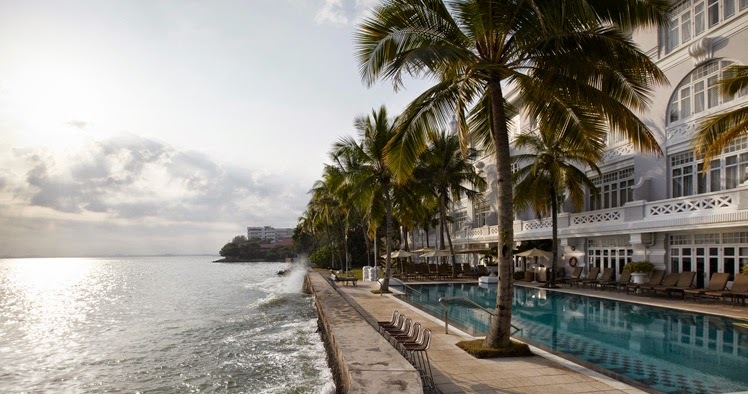 Located in Georgetown, you will enjoy great sea views during the day and then simply walk over to Penang’s famous clubs right opposite the hotel at Upper Penang Road at night. If you love to get close with Mother Nature, Hotel Banjaran Hotsprings Retreat offers the best experience nestled in the lush tropical rainforest. Couples can enjoy a romantic dinner in Pomelo Restaurant with nourishing cuisine and fine wines in the cellar carved out of limestone. Embrace the company of each other in a dazzling plunge pool, outdoor rainshower and sunken Jacuzzi with geometrical hot springs water. Address: 3, Persiaran Lagun Sunway, 31150, Ipoh, Perak. 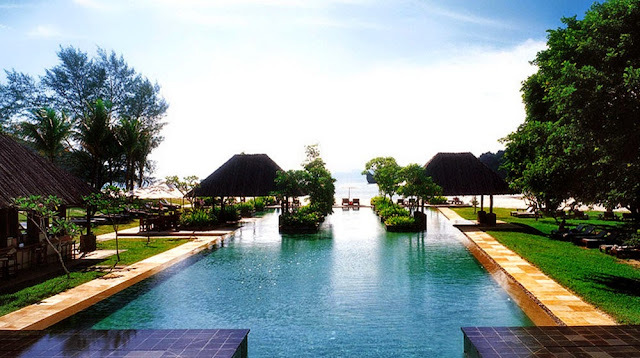 This is the only hotel located on Pangkor Laut Island. It has been rated one of the best local honeymoon getaways on numerous travel articles as both of you can enjoy romantic moments sitting by the private beach, or pamper yourselves with a luxurious fine dining experience. Their specially designed huts and pavilions all feature private balconies or courtyards, and most bathrooms open out to the rainforest. Address: Pangkor Laut, 32200 Perak. If you wish to have both luxury and nature on your holiday, this could be your choice. 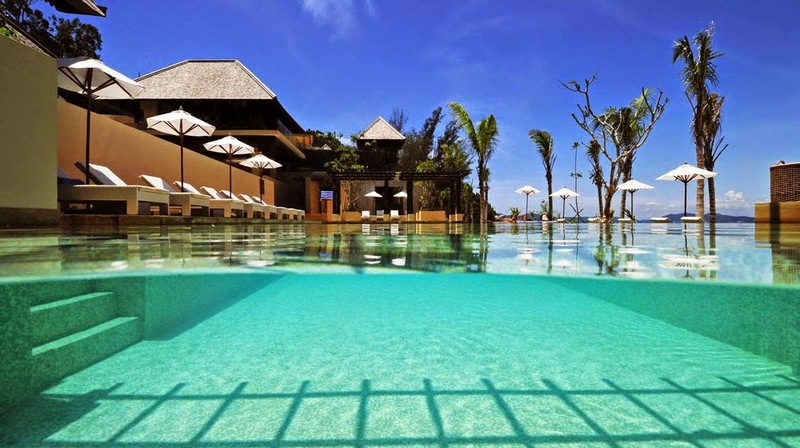 The beautifully located resort is set on an island that’ll promise serenity and breath-taking views of beautiful tropical plants and of the ocean. Spend intimate moments with your loved one in spacious bedrooms with oversized bathtubs and two vanity units, or laze around on the outdoor verandah with day beds. Address: Malohom Bay, Tunku Abdul Rahman Marine Park, 88000 Kota Kinabalu, Sabah. The E&O Group promises to bring their guests to the highest level of excitement by offering them the most luxurious and relaxed environments. Lone Pine Hotel is designed to combine British colonial elements with contemporary touches. 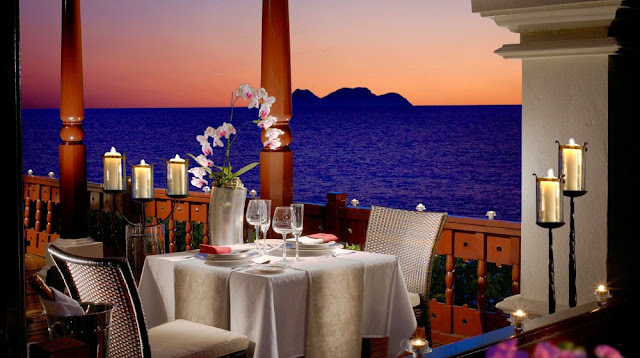 Dine in tranquility by the beach and listen to the sound of nature while sipping fine wines with your loved one. Address: 97, Batu Ferringhi, 11100 Penang. If you want a romantic, colonial feel that’s right in the middle of Klang Valley, then book a weekend at Carcosa Seri Negara. In the 1900s, it used to house the Governor of the Straits Settlements as well as other prominent guests of the Malay Federation. Each suite in this hotel is not only spacious, but is also distinctive from each other to give its guests a luxuriously unique experience. Fans of colonial films like ‘Anna and the King’ will truly appreciate the interior of Carcosa Seri Negara and its beautiful manicured gardens. One of the most private locations in Redang, The Taaras is a bespoke beach residence that is known for its luxury and hospitality. We recommend trying Taaras’ exclusive twinning package which combines both ocean adventures and seaside relaxation for couples who want the best of island stays. If green rainforests and beautiful blue waters aren’t convincing enough, then these highlights about The Taaras will: oversized beds with hand-picked linens and fabrics. spa bathtubs overlooking the bay, sixteen meter infinity pool…need we say more? 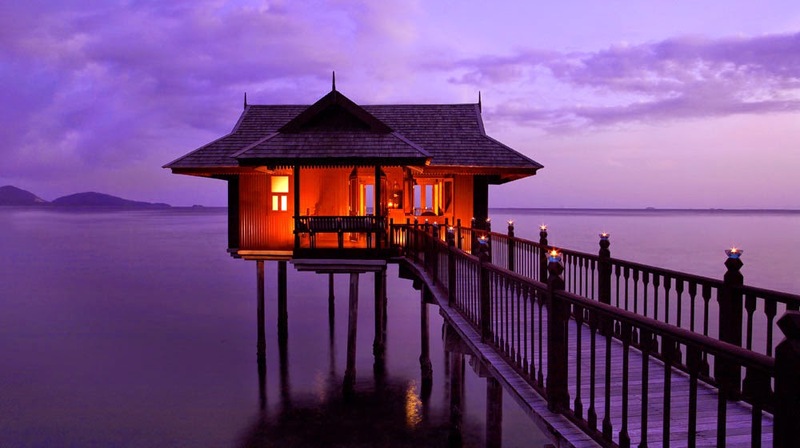 This idyllic beachside property blends both contemporary luxury and old-world Malaysian warmth. You’ll feel as if you had travelled back in time to the olden days of Malay kings when you’re at Tanjong Jara, as it’s designed to reflect the elegance of 17th century Malay palaces. 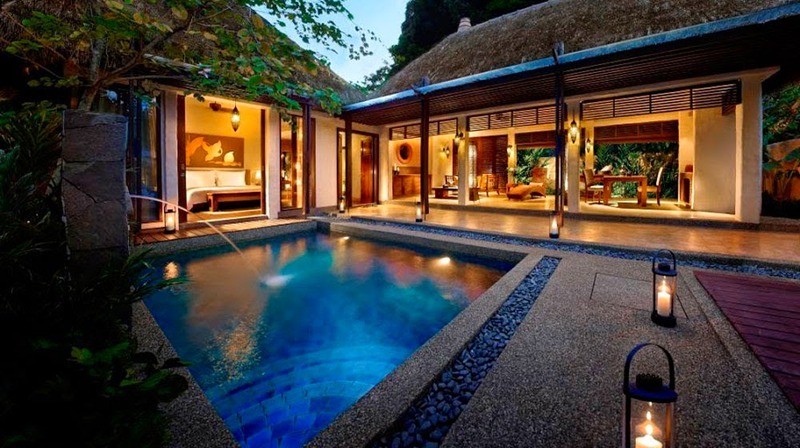 The rooms overlook either tropical landscaped gardens or panoramic views of the South China Sea and are furnished in local timber and luxurious fabrics. Activities are numerous here, from unique cooking lessons, jungle trekking, reef explorations to river cruises. You can also pamper your body at the Spa Village Tanjong Jara, where they offer programs for relaxation, reinvigoration and stress relief.